What initially drew me to this carrier was that both babies are carried in front, making it easier for me to see and take care of them without worry that the one in the back isn’t happy. Also, people love to touch babies out in public, I get it, they’re so adorable! But – I wouldn’t like a person to touch my baby without me knowing about it. At this stage, the baby wouldn’t know to alert me when someone is coming a little bit too close. The twins in their Weego at 4 months! When I received the Weego Twin Carrier, it came in a bag and also included some drool pads which I thought was nice because those will help to protect the carrier. I was pregnant at the time that I received this carrier so I decided to check it out! 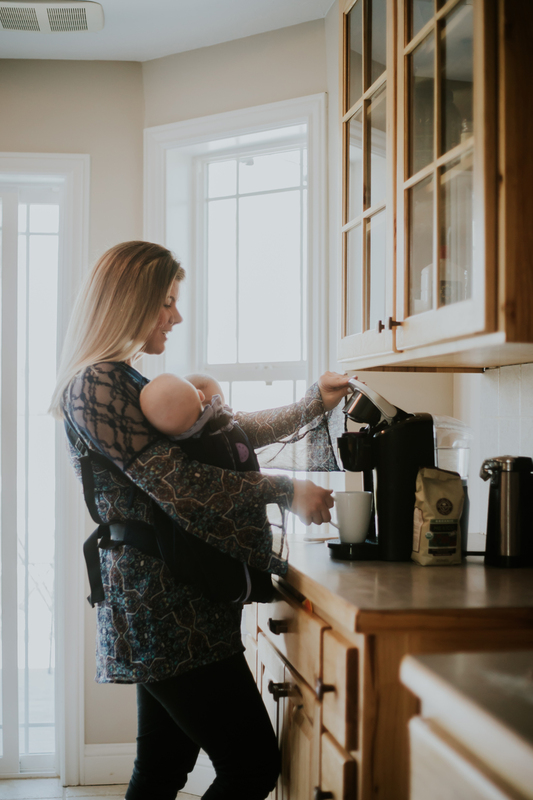 The first thing I noticed about this carrier was the construction, this is a very sturdy baby carrier that is solid and isn’t confusing to get the hang of. I noticed there were a lot of zippers and snaps, to keep the babies safe and to adjust the positioning of the carrier so that the babies will always fit perfectly. I figured our boys would use the smallest setting so I adjusted the snaps to that setting. Here is a video about how to use the Weego twin carrier! Babies who are carried often, cry less. Up to 43% per hour in comparison to babies who are not carried. Especially important for parents like me, who had babies in the NICU for an extended period of time. Strollers can be limiting, let the mind grow! Being exposed to various environments in a carrier lets the babies to explore without barriers. Helping their minds to develop. The boys spent 38 days in the NICU, so the first time I used this carrier with them was when they were two months old. 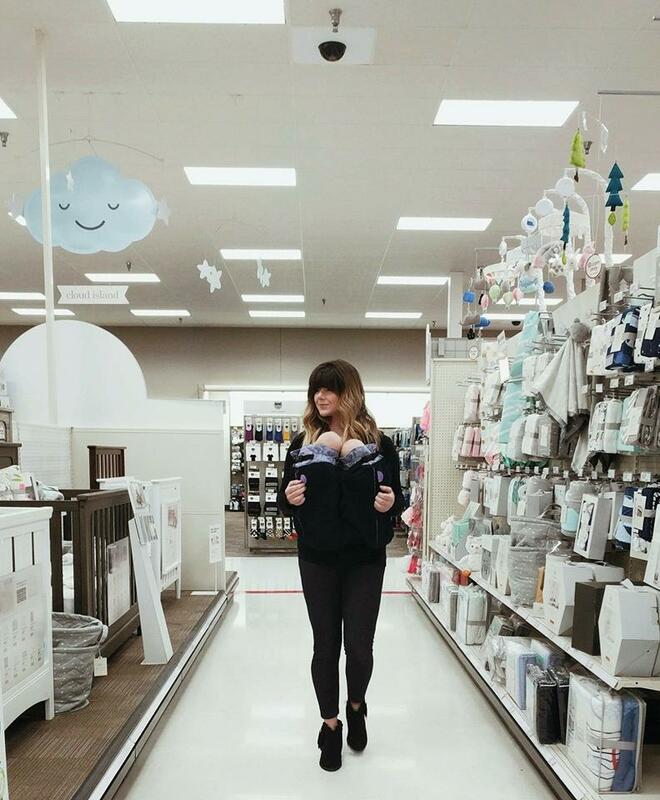 We went to Target! I put the carrier on, and put the babies inside of it in the parking lot. Surprisingly, it was very easy to use and get the babies inside of. (Easier than some of the single baby carriers that I’ve used!) I loved how there were double zippers for each baby to be sure that they were in the carrier safely. The thing I loved most about this carrier is the level of comfort for me and seemingly for the babies. This was their first time being worn and I thought they would be upset at first because it was new and different, but they didn’t make a sound from being put into the carrier and throughout our shopping trip. For me, the carrier was very comfortable, I loved how it fit me. I didn’t have any issues adjusting the straps after I put it on, but it’s wise to adjust it first without the babies inside. Overall, I think this is a great carrier for twins, we use it on walks and shopping mostly, the carrier allows me to be hands free so that I am readily available to my other children if they need me! Weego also makes a single carrier as well!